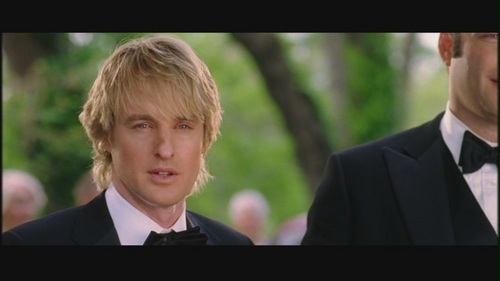 Owen Wilson in "Wedding Crashers". Owen Wilson as John Beckwith in "Wedding Crashers" a 2005 film.. HD Wallpaper and background images in the owen wilson club tagged: owen wilson john beckwith wedding crashers screencaps 2005 film movie screen capture. This owen wilson Screencap contains setelan jas untuk bekerja, setelan bisnis, jas, baju pakaian, setelan, perapi pakaian, gaun, gaun penuh, jas berekor, mantel ekor, ekor, dasi putih, dasi putih dan ekor, berpakaian lengkap, berekor, and ekor mantel. There might also be jaket berkancing tunggal and single breasted jaket.